I’ve joined The Nester’s Christmas Tour both in 2009 and in 2008. I love that girl. She gives me a goal for finishing my decorating. I haven’t finished decorating yet, despite her promptings but I’ve decided to tell you about my Christmas journey anyways. This year has been different for me. This is my first Christmas in the lake house. And honestly, I’ve had a hard time completely letting go of the other house, at least in my heart. I have so many wonderful Christmas memories from that house. It’s different here. And then with that geographic change came a heart shift. I found myself not wanting a fancy, glitzy perfectly decorated house. I wanted to slow down. To take an Advent journey without all the rushing. A quiet journey of waiting and hoping and longing. For the Christ who would come in lowly means to a world that is messy and hurting and broken. I’ve been a little hamstrung. Wanting to ‘get in the spirit’ but not knowing for the life of me how to usher it in. Not depressed. Not a Scrooge. Just quiet. And waiting. Slowly, but surely, a few decorations go up. Not in my normal frenzy. But a few things here and there along the way. I missed this party and this one and especially this one, since I have no tree yet. But I didn’t miss this or this. I think I like my new Christmas. You have to slow down to see it. 1. 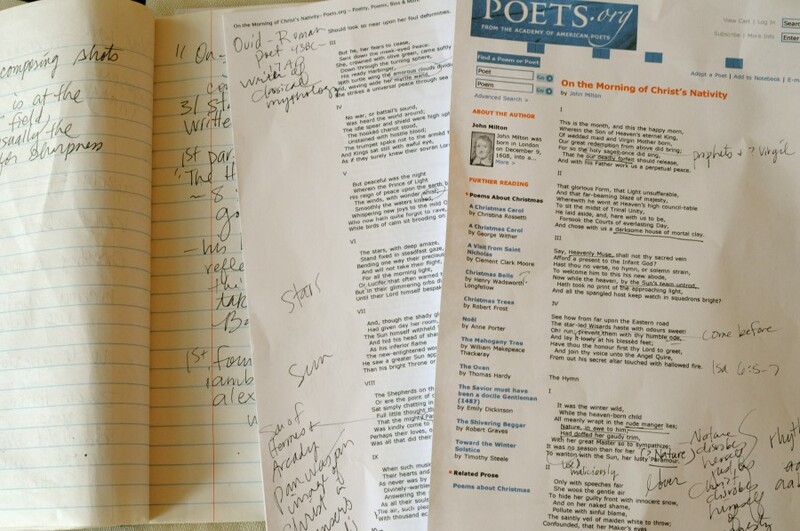 Studying the poem “On the Morning of Christ’s Nativity” by John Milton. I’m leading my bookclub discussion this Thursday and I picked this poem, partly because the girls and I are memorizing the first four stanzas and partly because I find it so fascinating that Milton wrote such a brilliant piece at the age of 21. Wow! So, I’m taking copious notes and reading lots of commentary. You can read the poem here. 2. Hand-Writing my Christmas cards. Novel, huh? I haven’t handwritten cards in many-a-year, since the computer generated labels became so avant-garde. It’s all so old-school and fun. I love writing—with a pen! 3. Baking like there’s no tomorrow. And then freezing it all for the holiday rush. Which means I always have a sink full of dishes. It looks less messy from this point of view. Don’t let that fool you. It’s messy. And that candle? Winterberry from Target. Hands down the best Christmas-y scent I’ve found this year. 4. Doing a lot of arts and crafts with the littles. Today? 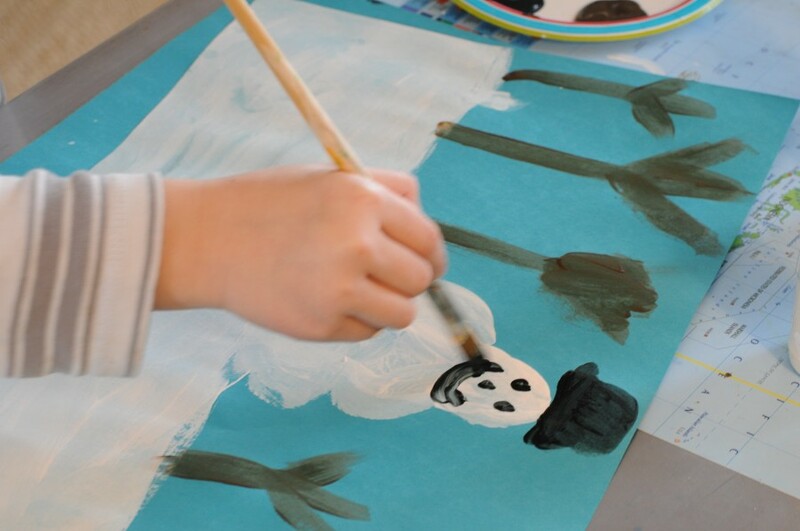 Snowman paintings to go along with our snow. We painted the Voyage of the Dawn Treader ship this weekend and hope to brave the snow to see the movie later today. Maybe I’ll finish this tree, maybe not….. Still no ‘big’ tree. Maybe soon? This year, this is our Christmas journey. Enjoying all the little gifts along the way. Christmas is coming. I hope we don’t miss Him. From our house to yours, may the perfect love of Christ be your light and life. Your “Christmas Journey” is the true spirit of Christmas! Merry Christmas to you and your adorable family! Lovely! If you can get your hands on a recording of Ralph Vaughan Williams’ “Ring Out, Ye Crystal Spheres,” I highly recommend it. The text is taken from the Milton poem and it is truly sublime. i will try very hard my dear, and thank you for sharing. From the bottom of my heart, this is my favorite post of all Christmas posts in the whole of the blogosphere. You are reading my mind, Sister Friend. and oh how blessed am i to be sister friend to one of the most gifted writers i’ve ever read. you are quickly becoming my favorite. Your heart and home are beautiful. I think your fresh, pristine, and hushed Christmas speaks volumes. Edie, I really understand where you are coming from. You are such a thought-full spirit (yes, full of thoughts!). Your house is almost as beautiful as you are inside. And if my handwriting looked as cool as yours, I would handwrite my cards too! you make this ex-doctor with very ‘rushed’ handwriting blush. but i did ‘slow down’ for these. God is doing a deeper work in my heart and mind…and that always slows me down in life…. and don’t you notice that deeper often hurts? love you tara. edie, I think many of us are feeling the same way this year. No big tree for me either, did 3 small ones. I may never do another big tree again, we’ll see. I’m slowing down, doing a little, but got mine all finished & now I too am waiting and enjoying the season. I love the way you share your heart and your pics are just amazing! Beautiful! Merry Christmas, friend. yes, ms. rhoda, i notice this theme this year too. i wasn’t expecting it, but beautiful it is. thank you for sweet, kind encouragement. can’t wait to see you again. beautiful; one of my favorite reflections on the season. i wish we could all take a moment or two to slow down and drink it all in. these days go by too fast! so kind ms. annie. thank you. Edie, you so speak to my soul! I love this! You have captured the essence of Advent so beautifully! It is not about rushing, and decorating, and material presents. It IS about slowing down, waiting, and preparing our hearts for the birth of our Lord Jesus. The Holy Spirit is with you, my friend, and you are allowing HIM to work through you in such a marvalous way to allow others to see HIM. Let this moment of waiting and slowing down wash over you and fill you with joy as you prepare for the glorious day of Jesus’ birth. God bless you and keep you Miss Edie! you encourage with such love and passion ms. amy. oh ms. sara, and the truth is, it’s just that i haven’t painted since i moved in. another good case of the waiting i guess. yes, he leaves me dumbfounded ms. kathy. LOVE this post Edie!!! Your photographing skills have gotten off da hook and your handwriting puts me to shame! Translation? This rare both good things lol!!! Thanks for this reminder I’m loving simplicity! Love your last sentiment “Christmas is coming..and we are enjoying the waiting”. Thanks for sharing! and then of course I got home from the movie, re-read the post and edited a little. Oh, Edie! 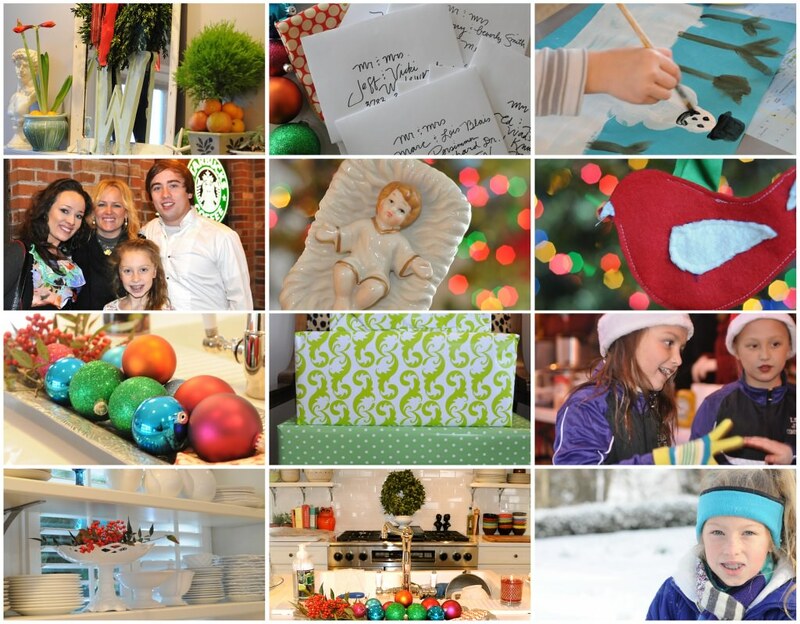 This is the most beautiful Christmas post I’ve seen on blogland. 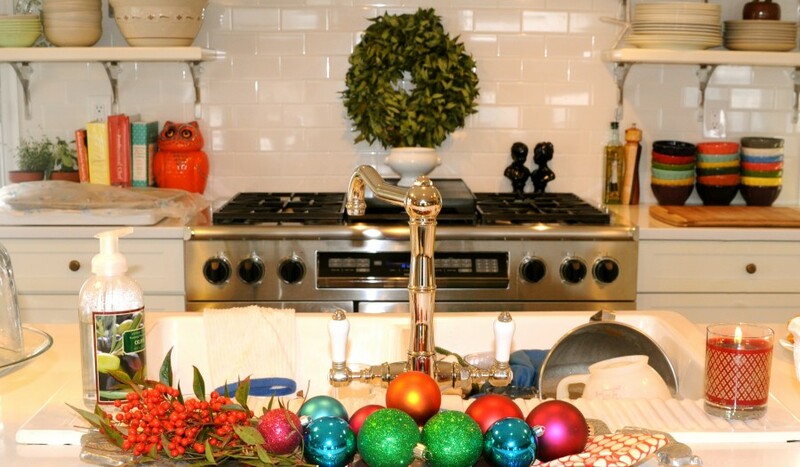 I love how there are little glimpses of the festive (the colorful balls in front of your sink) and yet the focus is truly on what really matters. i ‘deep, contented’ sigh with you. and most humble thanks my friend. Wow! We must have ESP or something, ha ha! 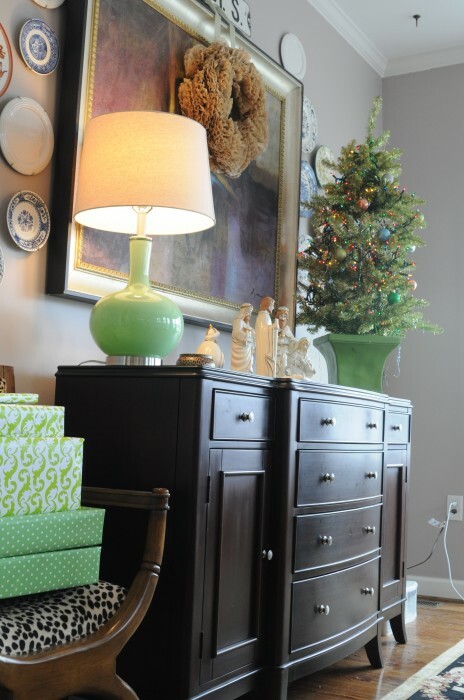 I love the little bits of Christmas throughout your house! This year I took a simple approach to my decorating too. I also have been doing more giving than my normal self can handle 🙂 I give all glory to God because He has placed a few families on my heart this season and has just told me to go and give. What a joyous Christmastime it is indeed! Merry Christmas Edie!! always kind-hearted, you are ms. molly. Thanks so much Edie for sharing your heart…your “message” today is speaking to me, especially since our Pastor spoke how Simeon and Anna waited so intently and whole heartedly and were so commited and they were eagerly but patiently awaiting the arrival of Jesus..it is so hard some times to keep the focus on Christ and not be sidetracked by all the other things..and I am guilty of being sidetracked….thanks for sharing your focus…May God bless you and your family. we just studied simeon and anna too. and the ‘song of simeon’ is part of our liturgy~just beautiful. It amazes me at how many of us are slowing down and spending less this year and enjoying the holidays more. Your pictures bring calmness to me and keep me focused on the true meaning of Christmas. Christ was born in a manger and His beginnings were very humble as was His life. I think He is proud of us for focusing on the purpose of His birth! This is really beautiful… both visually and in the deepest little corners of my spirit! I took a deep breath for the first time in a few days!! awww beautifully written colleen. thank you. – Every time you mention “the lakehouse” I imagine you living there with Keanu Reeves and Sandra Bullock. I really hope you have seen the movie lest you think the eggnog has gone to my head. 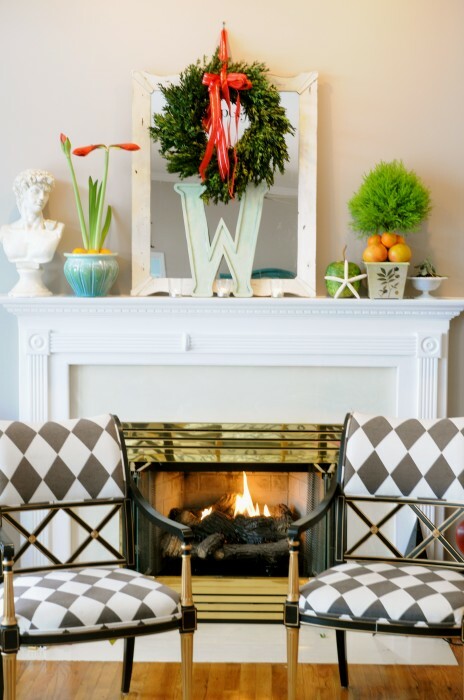 – I am going to decorate my mantel tonight, which will consist of me tossing up a Pottery barn garland and strategically placing candles here and there. It’s my festive alternative to a tree since my kitties would try to climb one in a heartbeat. – I see your Winterberry candle and raise you the Spiced Chestnut essential oil reed diffuser on the scale of wintery fragrance (I learned it’s “fragrance” not “scent” from the fancy lady at William Sonoma outlet who sold it to me) products. That’s right, it’s above my fireplace so technically I have chestnuts roasting on an open (be it gas) fire on demand. 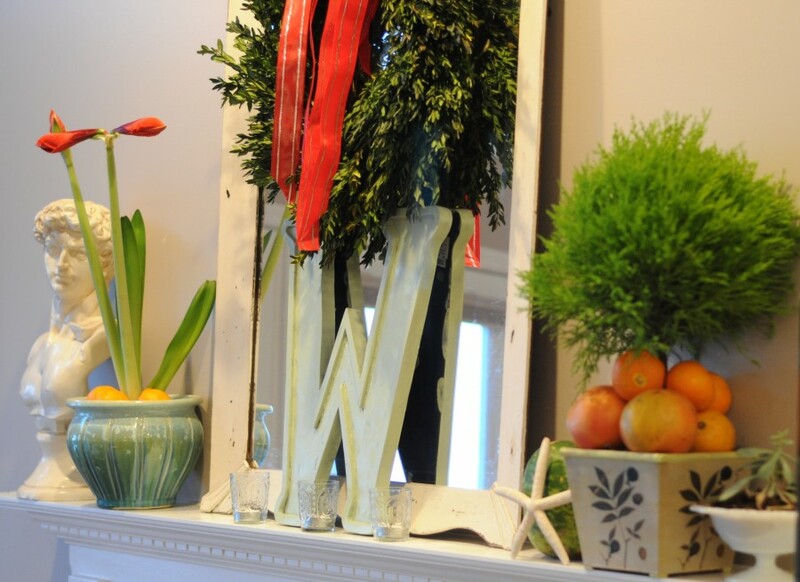 I am totally with you on the less is more theme for the holidays. We spend Christmas in TN, so for me it doesn’t really feel like Christmas until I see the Smokies. I think your house looks like Christmas elves have visited and sprinkled little bits of Christmas here and there. Just lovely! hmmmm, i must needs try this scent. have NOT seen the movie but will add it to my que? queu? yes, the mountains and Christmas go hand in hand. Beautiful post, Edie. I, too, am in no hurry this year. I’ve been sewing up a few fabric bags of all sizes in hopes that in a couple of years we won’t be using paper wrappings other than occasionally. The tree just got done yesterday. 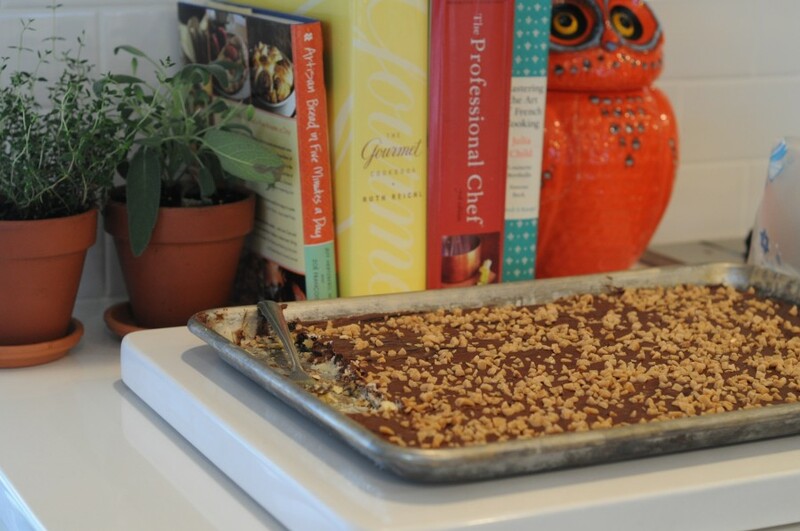 Baking and gifts from the kitchen come next. Enjoy your journey. Merry Christmas and God bless us everyone! 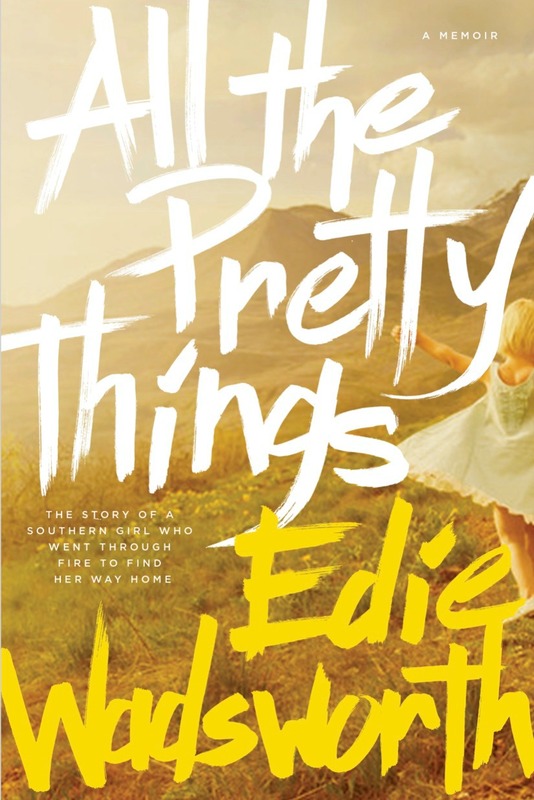 it all looks beautiful edie. i love your take on it. slowing down…taking it all in. so easy to get out of balance. your home is really really pretty…love that last shot. the red just POPS! and you know how you could miss the old house a little less, uh-huh paint those cabinets, lady. just kidding but i’m not kidding when i ask for a double portion of that chocolate marvel up on that thar kitchen counter. may your sweet Christmas journey only grow richer. Fabulous! Gorgeous! Wonderful!!! I like your new Christmas too! PS – We’ve got the same green polka dot wrapping paper! Edie, this was an awesome post!! Your home is so pretty! Love your decor. Edie, your quiet comtemplation of ushering the birth of Christ so resonated in my heart. I love following your blog and am so grateful that you directed me to Ann’s Jesse Tree Journey a few weeks ago. Have a blessed Christmas. what a beautiful post and beautiful pictures. that first picture…i was looking for credits cause it looks like it came right out of a magazine. Love it, simply love it! How wonderful & peaceful, all what the holiday should be. Love this and your home. Your new house is lovely, your decorations are wonderful, and I love Christmas concerts SO MUCH!! They stir feelings in me that are so deep and meaningful. I also HATE driving at night! Something about those TN hills and dark tree lined roads……..
Have the merriest of Christmas seasons. Why don’t we start a trend to put the tree up on Christmas EVE like they used to? Christmas Eve tree!) thanks so much for encouraging. hope you are well paula, been thinking about you! 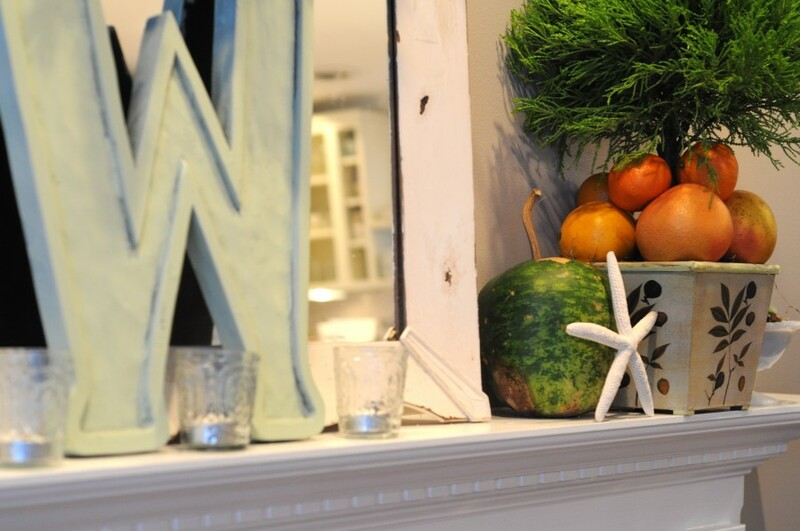 I love all your decor and styling. We are in the middle of our kitchen remodel and I want white subway tiles for a backsplash too! I also LOVE that owl cookie jar! I enjoy looking to your blog for creative inspiration! Thank you!! what an amazing post, edie! 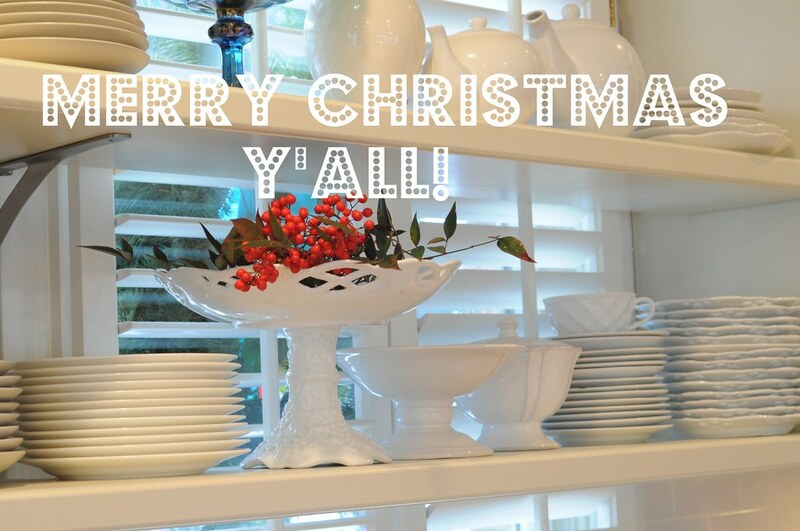 i love your house, your decor, your sweet, real, grounded disposition… merry christmas, friend! Merry Christmas! I love that orange owl! Edie…THANK YOU! I love your Christmas journey and I relate to it. You captured my thoughts and heart this Christmas. I love ‘less shopping and more giving’. I see so many on Facebook commenting on how much they have to do before Christmas and will the presents arrive on time and have friends sad because they have to work so they can’t go “home” for Christmas and what I want to say is that Christmas is in the heart, not the date. I so hope we don’t miss HIM. Thanks for sharing! aww thanks debra! i heard you did awesome on the fundraiser!! so happy for you. I love your simplicity! I understand about not wanting to go all out for the decorating. We recently moved and I am missing our old home, but mostly our friends. It just doesn’t seem like Christmas without our friends to share it with. Your Christmas heart sounds perfect — beating in time with His. thank you to you and your family for a wonderful Advent journey. what a gift. you are a dear friend in Christ—whose gift in writing and encouraging is such a blessing. I was afraid I was being a scrouge until I read your post. Glad to know that others are taking the slow road to Christmas. God bless! 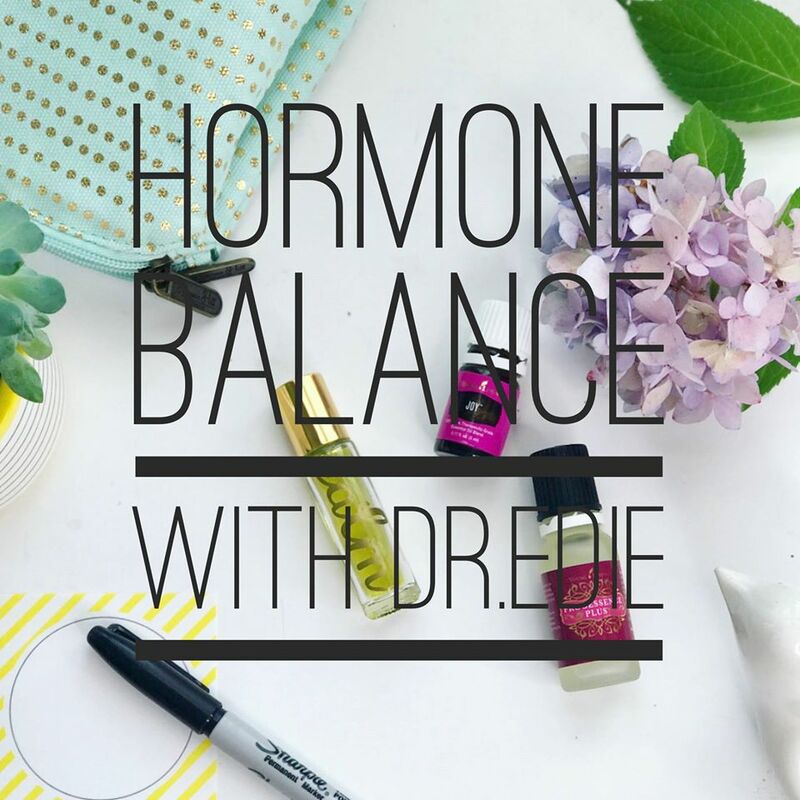 Ms. Edie – I love this post – it is exactly what I needed to see! I’ve been like a headless chicken the last few weeks, and finally took a breath earlier today. He is coming regardless of my state of readiness. During that moment today, I made the decision to just STOP and enjoy and appreciate these last few days. Thank you and much love! Hello lovely! I think everything you’ve shared is beautiful as always…especially the heart philosophy of less is more! I’ve been struggling with the change/move this season, too, since nothing’s “the same.” And I realized that sometimes I worship the traditions (I love family traditions in general…just not if they become idols) more than the Baby and God is humbling me by that epiphany (pun intended!). So, I’m really trying to meditate on that miraculous paradox, a tiny manger-born baby who is also a Savior King. And while I’m still human and am missing my tree, the idea of that sweet baby grows more precious every day! Visiting from Kellys today…this was a wonderful post! Your decorations are lovely but your words are more lovely. Amen! I think you just gave your family the best present of all. This is so beautiful…Thanks for sharing!!! Good luck with leading your bible group…I need to find another one, that can be such a rewarding experience…God Bless! 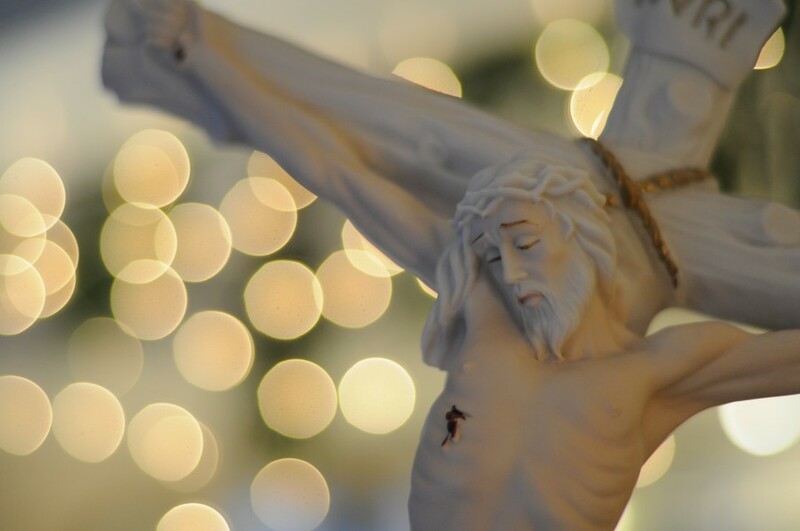 The picture of the crucified Christ with the lights in the background brings true focus to our celebration of His incarnation. It’s practically a sermon in photographic form. Blessings on your Adventide. i love that one too—and blessed advent to you. Wonderful post! 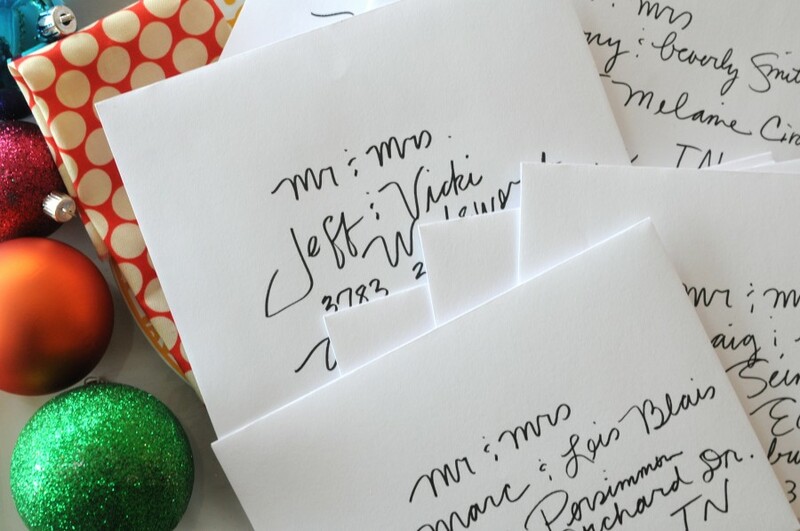 I love to hand write my Christmas card address labels too :)! Okay, i’m a weird-o, but would you mind telling me what brand of pen you used…your cards look great. And my favorite pen has just been discontinued and i am having separation anxiety! I know…WEIRD! i’m such a pen junkie myself–not weird at all. it’s a pentel sign pen that i got at hobby lobby in the calligraphy section. it’s wonderful and don’t have a true calligraphy tip which i like. 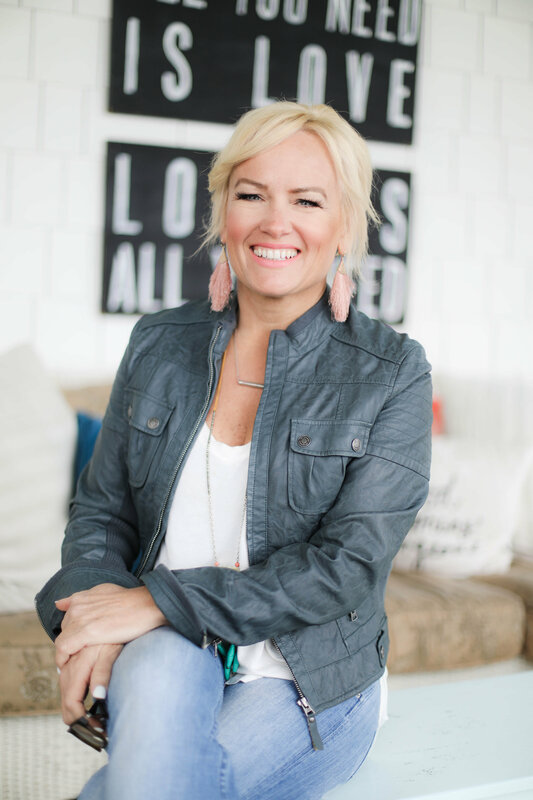 I get a little giddy every time I find another Lutheran mom blogger! I only realized you were Lutheran after I started listening to your link to the discussion on infant baptism on your sidebar – and they mentioned my pastor! Anyway, your blog is great! You have a new reader in me. And your kids are absolutely gorgeous. Glad to have stumbled here! p.s. do you listen to issues etc? you’d love it–hosted by brilliant lutheran pastor. it’s on my sidebar! I’m hand writing notes on my Christmas cards this year. I love it! I feel so old school. 🙂 Your new home is GORGEOUS, and I hope you make glorious Christmas memories there this year. awww thank jo-lynne. i stalk your blog and what a treat to have you visit! Beautiful post Edie! Have a wonderful Christmas. Thank you, Edie! 🙂 For *some* reason i thought you might be a kindred spirit pen junkie ;P. Thank you so much! Such beautiful thoughts to share. Les is more…I’ve been trying to put that into practice this year. “Christmas is coming, I hope we don’t miss Him” is a thought I will think on for a while. Thanks for sharing the Milton poem! I enjoyed reading it with my husband the other night. Your home looks beautiful and Christmasy! What a lovely home you have and what a beautiful attitude about Christmas. Merry Christmas to you as well and blessings for the New Year. No big tree for us here this year either. With the kitchen tiling and other touch ups to do there was any time or space. Dh is still having a difficult time with his brother’s passing suddenly last year. Tuesday will mark one year. We do have some decorations scattered through out. I love the decorating you have done. Everything is lovely. God will be pleased with your choice to prepare your heart to receive His precious gift this season. Thank you for always sharing your heart with us and spurring us to keep our eyes focused on our Lord. A journey straight to the heart of the Word made flesh. How beautiful. I myself have been smitten with this line, “till He appeared and the soul felt its worth”. May your Christmas be especially bright this year. I want those chairs please, the black and white ones. Package them up and mail them to NC…I would love them by Christmas! Just love it all my friend…Merry Christmas! I just found you from the Nester and I am amazed at this post! Your desire to change the way you spent preparing for this Christmas Season was as if you “knew” that 2010 would be different for you. I wish you all the Grace of God as you heal from your loss. I love this post…so much in there for me too! It truly is knowing Christ that is the treasure of Christmas…hopefully I can carry that next Christmas when the pressure is on to conform to decorating and buying and feasting competitively and greedily.